Joint HealthOlimp Gold Glucosamine 1000 - 60 kaps. 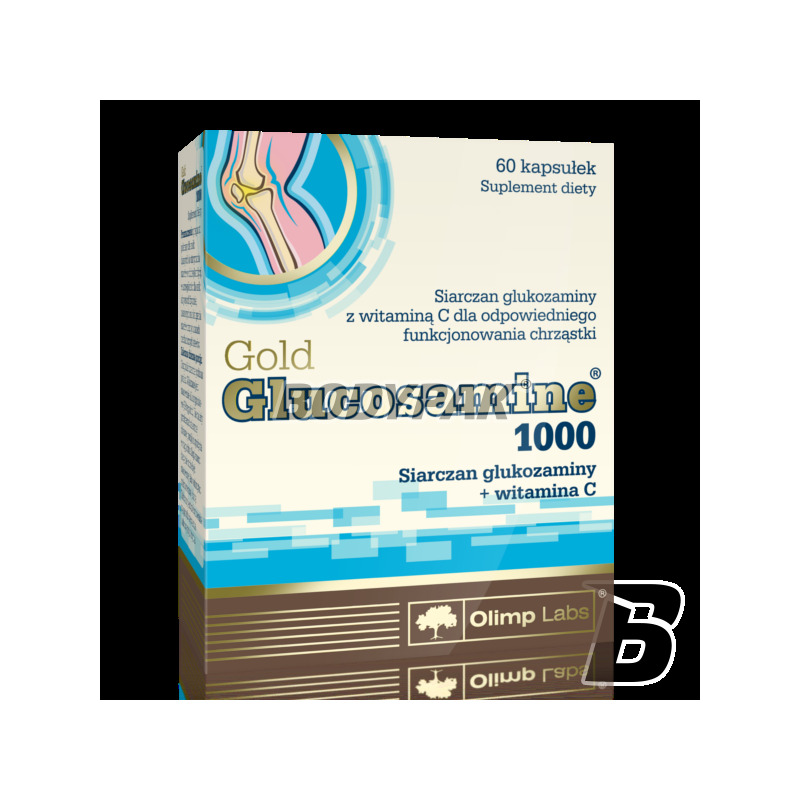 OLIMP GOLD Glucosamine 1000 is a product containing sulphate glukosaminy and vitamin C, substances necessary for the proper construction of cartilage tissue - joint. Under physiological conditions, glucosamine is synthesized from glucose. Its deficiency is manifested by disturbances in the biosynthesis of proteoglycans and lead to the formation of arthropathy. Vitamin C - actively takes part in the biochemical processes occurring in the body, is essential in the biosynthesis of collagen - connective tissue present in cartilage, ligaments, tendon, and bone, providing a resistance to rupture and stretching, as well as flexibility. Clinical studies indicate that glucosamine is an effective and safe alternative to standard drug and can be used without side effects, in order to reduce the symptoms of degenerative joint diseases and their prevention. High quality MSM - methyl methane, which plays an important role in the synthesis of collagen and keratin, which affects the flexibility and joint health. Means capsules with high concentration of active substance.